Most of the countries put down their barriers and do not require entering visa and this obviously made traveling easier. 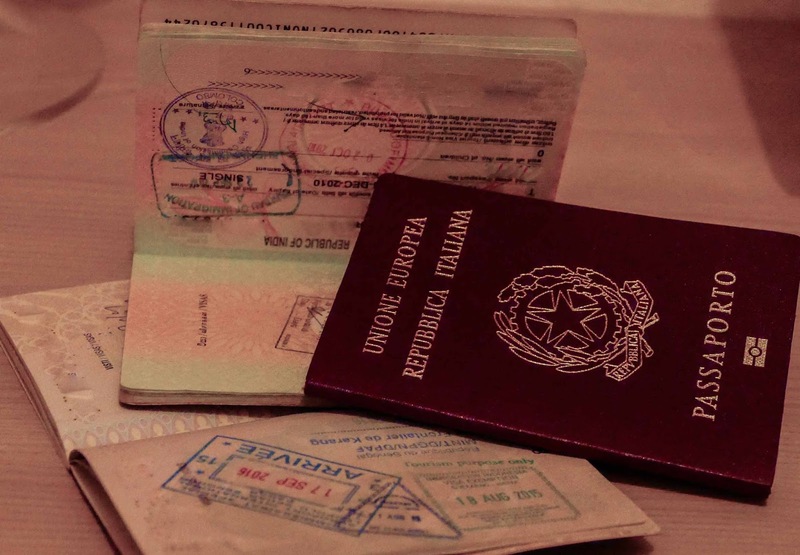 The procedures for obtaining a visa were once complicated, time consuming and expensive and many people during the earlier stages of tourism tended to travel in the visa free countries in order to avoid some expenses or to avoid wasting time on going to one embassy to another. Visas were not only an income for a country but especially it was a way to check previously people’s entrances and exits. 1. THE WORST: The sticker one with photo for € 98.00. It takes days or weeks to b released. 2. THE PRACTICAL: The electronic one given online within 72 hours for € 42.00. Electronic visas are valid for landing in certain cities so before buying the flight ticket you better check out the list with the embassy. 3. THE EASIEST: The electronic one given by any of the travel agencies for € 95.00 (more or less). It is same like the number 2 with the only difference that the travel agency will do all the procedures for you. You can’t enter into India without a valid visa obtained previously so beside the cost of the ticket you must spend extra money for all the visa procedures. As a frequent traveller to India I see in each of my trip people going back home from the airport because they were not informed or they didn’t know about this important detail and they bought the flight tickets without having the proper permission to enter into India. Why they did so? Because it seemed so normal to do so, because this is how they used to do for other countries. There is no way to check-in if you haven’t obtained the regular visa before, in other words you will not be allowed to fly. Like India there are so many countries that still require this special permission. So, don’t take it for granted. Each country has its rules and regulations, you better check the details with the embassy before buying the tickets: research and be informed. Remember also that the visa application can be rejected for reasons that they are not required to explain to you or the procedure can take longer than expected. So, never buy the tickets before having your passport stamped or stickered. It happened to us once in Milan: due to the concession delay we had to purchase back our flight tickets. Remember also that some countries are visa free some nations meanwhile they require visa for some other nations. Passports are raked by their total visa free score and it seems that Singapore stands on the top as the Singaporeans can enter into 163 countries without a visa. It's really akways vest to check all the immigration rules and regulations of the country you would want to visit. This would save you from so much hassle and avoid the risk of flying "airport to airport" because you weren't allowed in.